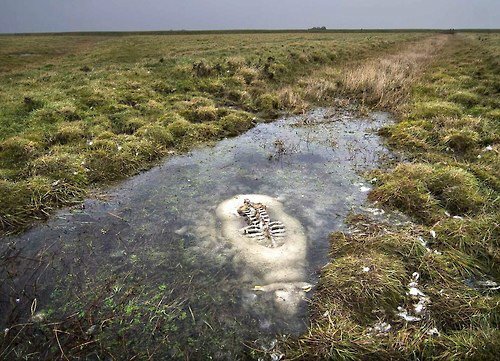 The sheep had drowned while trying to cross a small canal in the meadow-swamp ‘Tøndermasken’ in southern Jylland in Denmark. Birds had eaten every part above the surface and everything under was left totally untouched. from the National Geographic Photo Contest 2012.